‘H.E.L.P.’ Helping Endangered Leadbeater’s Possum. Is the initiative of four Year 7 students from Beaconhills College in the outer south east of Melbourne. The girls were taking part in a student challenge project called “Macquarie Bank Future Problem Solving”. Elly, Mollie, Ellie and Emma, chose to highlight the plight of Leadbeater’s Possum through community awareness efforts and to fundraise to enable their school to purchase some Project Possum Nest Boxes. The Committee of Friends of Leadbeater’s Possum applaud their commitment and outstanding contribution to raising the profile of our endangered state faunal emblem. They wrote to Premier Brumby and Minister Pallas requesting that the government consider featuring Leadbeater’s Possum on the 2010 motor vehicle registration stickers. They planned to have some major events around Threatened Species Day on 7th September 2009 to help increase awareness and wristband sales. Organising to volunteer in a wildlife shelter to better understand the needs of our Victorian native wildlife. Wrote to Cadbury to pursue the addition of the Leadbeater’s Possum onto the chocolate range of Furry Friends. Preparing for the FPS International Conference in June 2010. Met with Parks Victoria to get an update on the status of Leadbeater’s Possum and what help is needed for 2010. Hosted a fundraising movie night at Rochford Winery. HELP article appeared in City of Casey Environmental newsletter – Spring 2009. 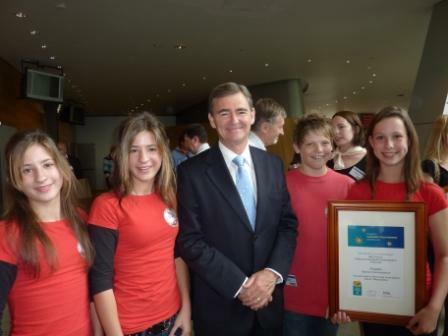 Commendation in the 2009 Premier’s Community Volunteering Awards – December 2009. HELP team meeting the Premier and senior Ministers. June 2010 – Second Place. 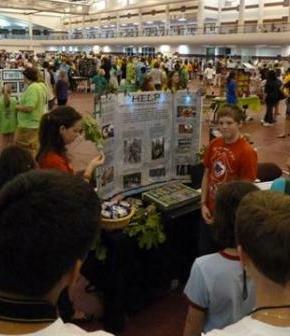 Future Problem Solving Competition – International Finals Success! Congratulations to the HELP team on their success at the international Future Problem Solving competition where their hard work helping Leadbeater’s Possum survive in the wild has earned them second place at the finals which were held in Wisconsin, USA. More information through this link to their school’s website – Beaconhills College.